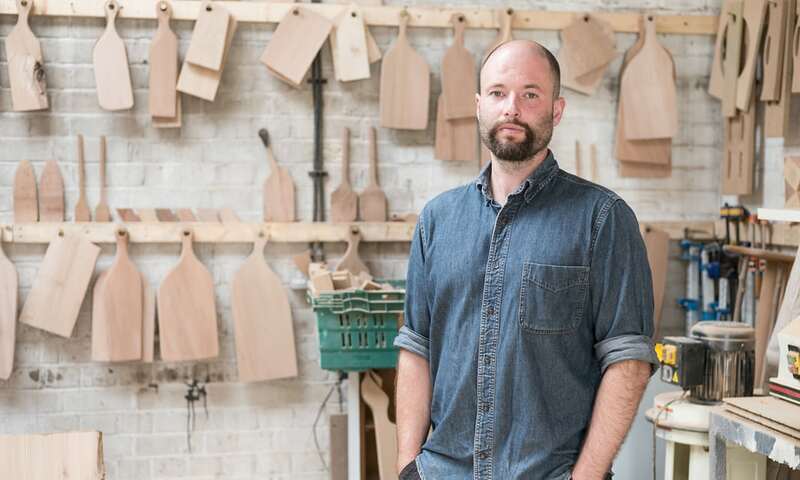 We were honoured to be part of this Sunday’s Observer Magazine story on the resurgence of carpentry and woodwork, joined by talented woodworkers John Eadon, George Winks from Temper Studio and Will Elworthy. It was lovely to be in the company of likeminded folks and to speak with Emma Love about our experience building Hampson Woods and finding a place in the market where we are able to create beautiful, handmade homewares with good quality British timbers – properly made, long-lasting products – at an accessible price. At times when it seems as though the shelves of our retail shops are filled with disposable, poorly made products built for profit, it is comforting to know that there are more makers and craftspeople giving consumers an alternative – and that there is a group of people interested in supporting the work of those of us who are mad enough to take on the challenge! Read the digital version from the Observer Magazine piece here, on The Guardian website. 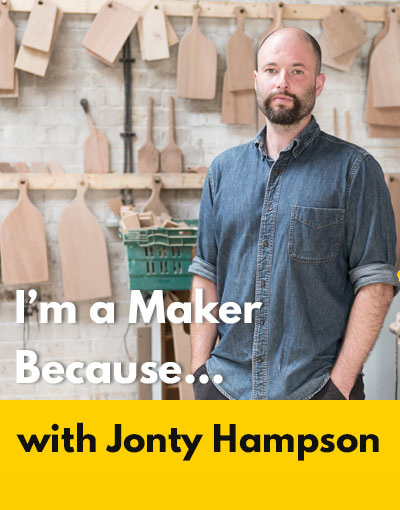 Scott Mathson asked Jonty a couple of questions about his experience setting up and running HW – What inspires you to make things? What advice would you give other makers? Head over to Makerviews.com to check out what he said and to read the wide range of interviews from makers and crafts people doing what they love. 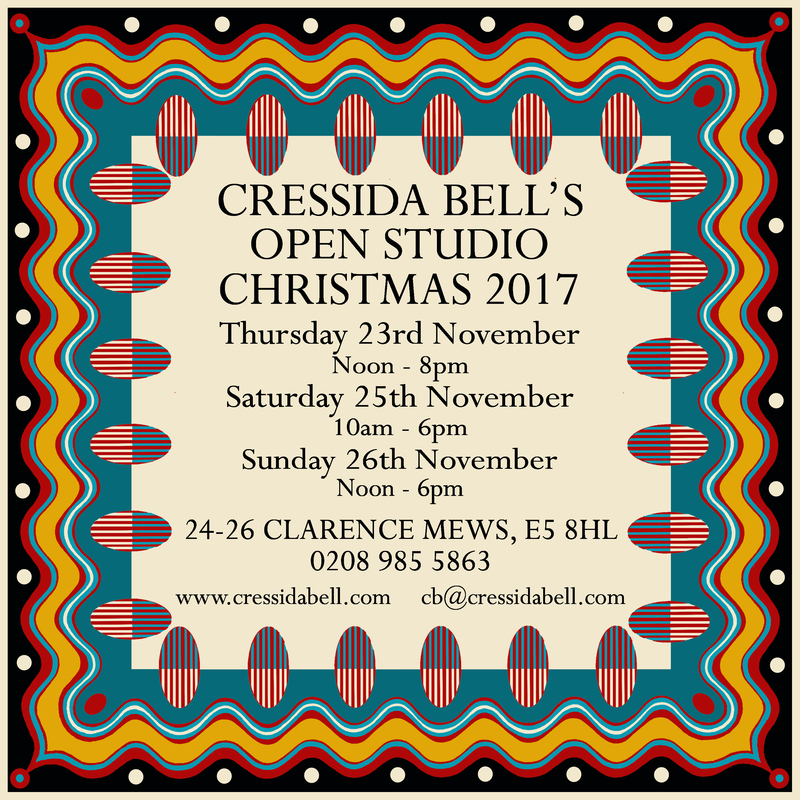 christmas open studios 2017 is here! It’s that time of year again, folks…….the makers of Clarence Mews in Hackney are opening their studio doors again this year, so come down to see us for a spot of Christmas shopping! Our neighbour Cressida Bell’s designs as well as many other handmade crafts will be on offer. 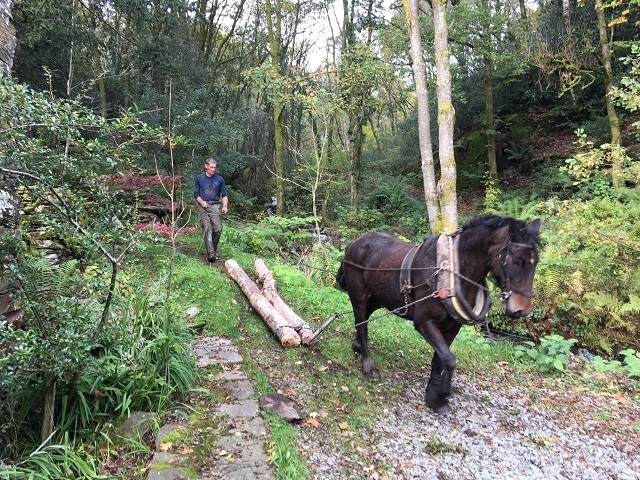 We’ve recently started using the ancient art of horse logging to manage our fellside woodland in the English Lake District – up here it’s called snigging. It’s safe to say we’ve fallen in love with this skillful, environmentally-sensitive solution to extracting timber. Logging using horses or oxen was the primary method for extracting felled trees for more than 10,000 years, until tractors become readily available in the first half of the twentieth century. Mechanised methods have dominated over the last 75 years, presiding over a period of unimaginable and unprecedented deforestation worldwide. Not only can the use of heavy machines result in severe damage to undergrowth, thereby threatening the woodland’s ecosystem, but it often results in fossil fuel contamination, soil compaction and erosion. Sadly, the style and scale of woodland management continues to move away from selective, time consuming methods sensitive to specific landscapes, ecosystems and species, toward more lucrative methods – such as clear-cutting large areas of woodland to ease transportation and reduce costs. 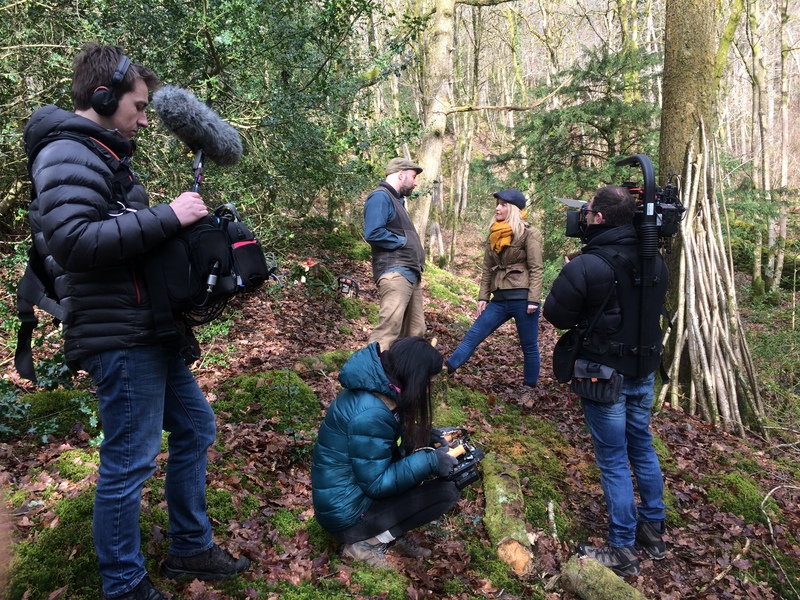 However, large scale globalisation of tree farming has also resulted in a small but steady rejuvenation of small scale woodland management, and this is a movement we are proud to support. After becoming close to extinction in the 1980’s, the future is brightening and horse logging is again being recognised for its benefits to woodland regeneration. These clips show George and Tom (the humans), and George and Charly (the horses) in action. We’re proud to be among some of our favourite cutting-edge interior design brands taking part in Design Junction at King’s Cross in London this weekend, 21-24 September! Tickets are available here on the DJ website: £12 standard advance (or free for trade professionals) or £15 on the door. 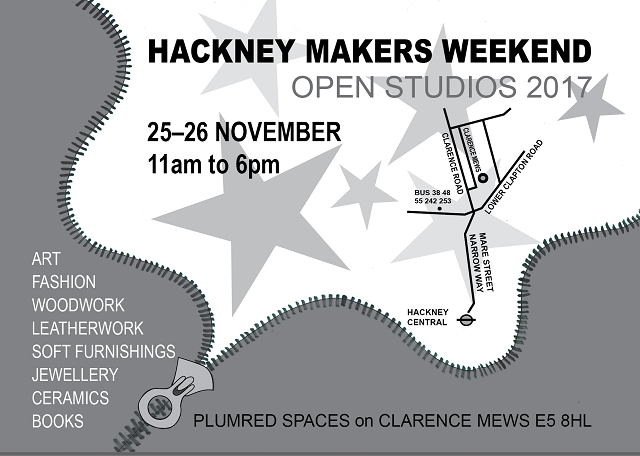 Clarence Mews Open Studios – this weekend! Here we are again in the latter stages of November, and that means one thing………..it’s Open Studios time! 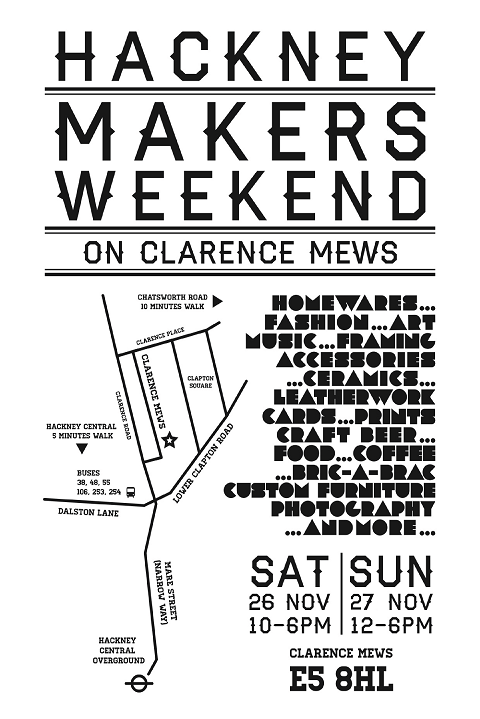 As with every year, many of the various makers on Clarence Mews will be opening their doors to the public on Saturday and Sunday the 26th/27th November. If you have an interest in Cressida Bell’s latest designs, in eco-fashion, jewellery or picture-framing – or indeed, it’s time to buy a new Hampson Woods piece, then please come on down! Or if it’s just a good nose around and a glass of mulled wine you’re after, we cater for that too. 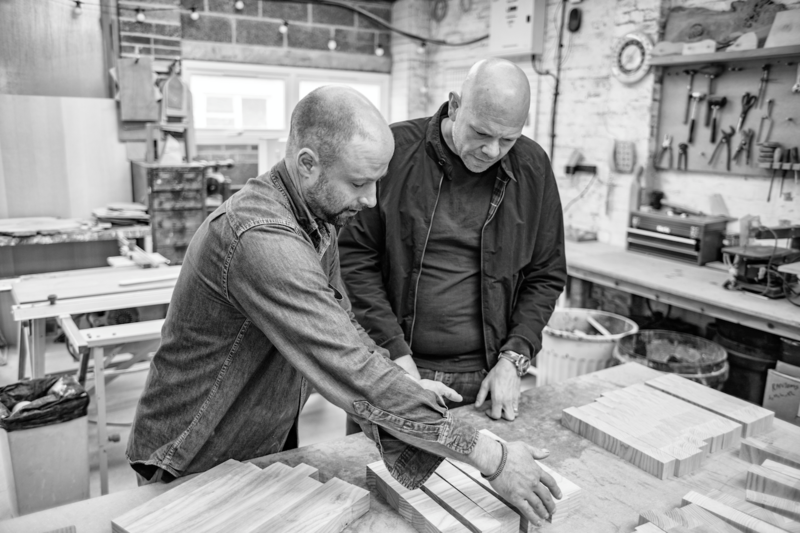 Celebrity chef (and all around legend) Tom Kerridge has taken steps into the homewares market with his first range of kitchen and dining accessories. We are very pleased to say that three of our designs are included. A little different from other chefs’ ranges, Tom has decided to “go British” and champion some of the fine producers from within this fair isle. 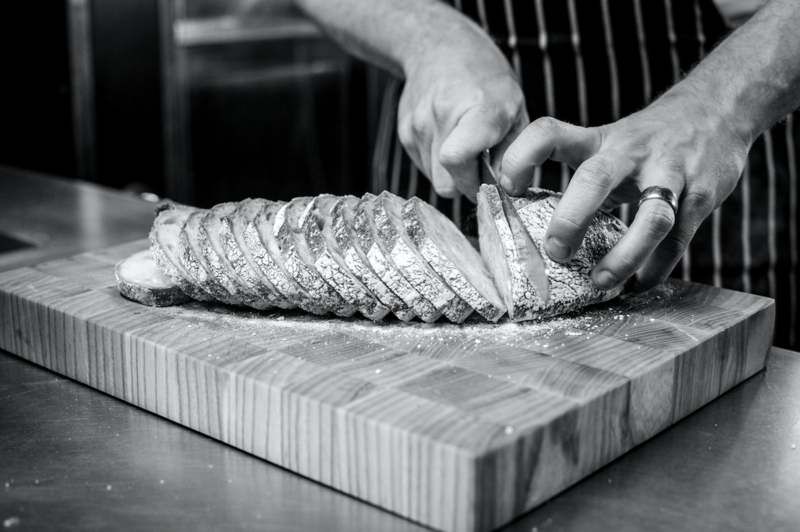 He has also collaborated with all of the producers, and perhaps most importantly has demanded a quality high enough to cope with the rigours of his commercial kitchen. 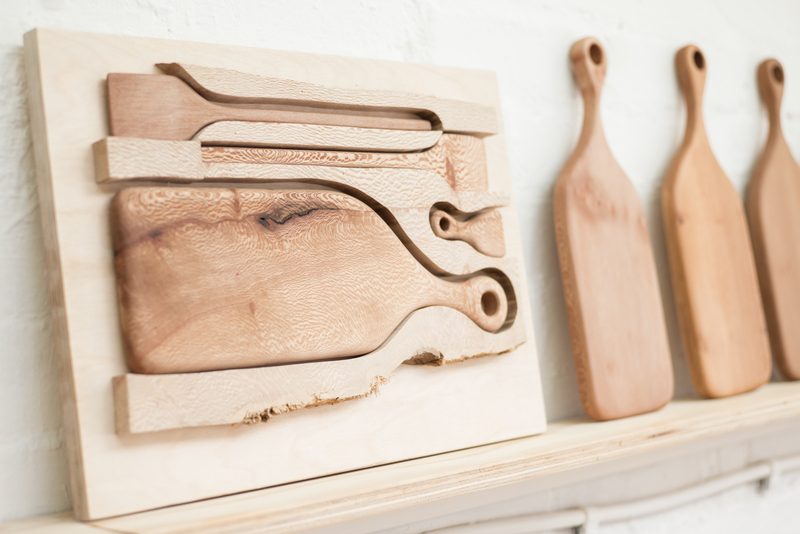 Pans, knives, textiles, enamelware and cutting boards (yep, you guessed it!) will all soon be for sale, and are already in use in his michelin starred restaurant. 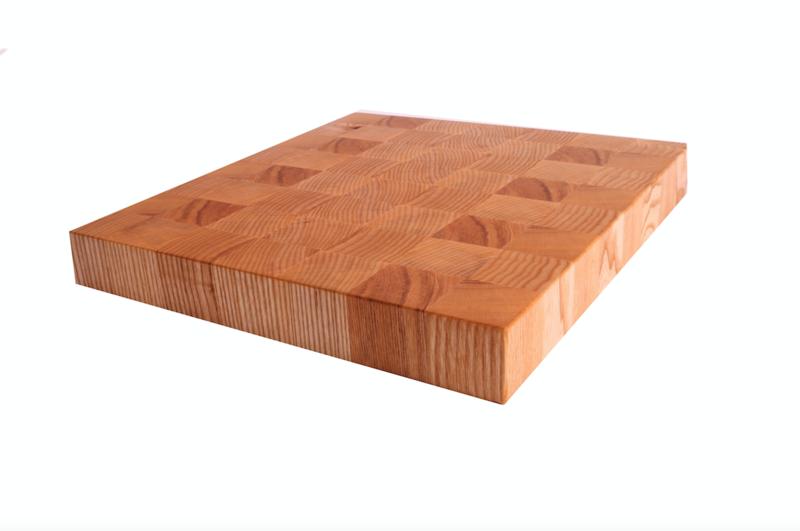 End grain cutting board in Ash. 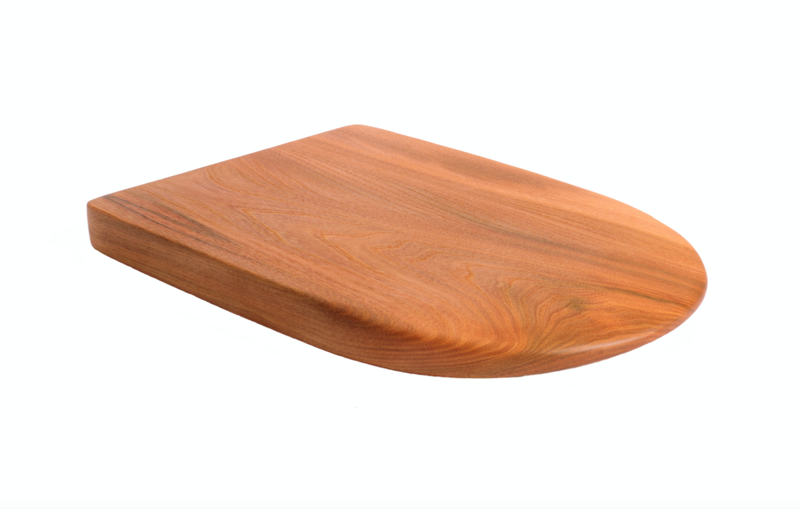 Traditionally used by butchers, these blocks self-heal – the internal pressure of the end grain will close up again after a knife has made its mark. By working this way, they also limit stress to the blade so chef’s can keep their knives as keen as ever. 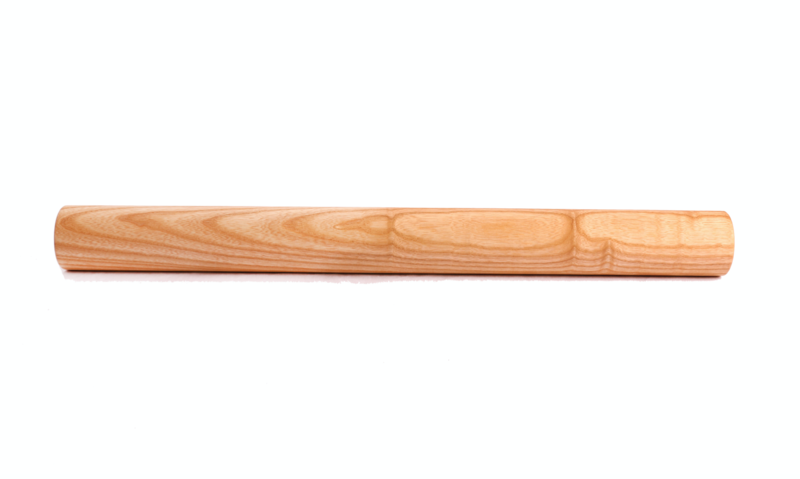 Simple, sturdy and elegant this subsantial pin has a surprising weight to it. Not surprisingly this range is something we are very proud to put our name to – produced in small-batches, beautiful work of high quality, with practicality at the heart. Soon for sale in various retailers, and you can now visit tomkerridge.com to register your interest. The Great British Exchange have made this project happen. The brainchild of Matt Hopkins, the GBE is a marketplace that brings together producers and retailers within the UK. The amazing French outfit, toc-toc-toc Editions have recently released a rather beautiful book………..and we are very proud to have been included. Their first book features some of London’s finest shops, cafes, artists and makers; with lovely wording and interviews with some of us. It is so rewarding to be included in publications such as this – curated and written by like-minded creatives with such a keen eye on things – and as always, we are honoured to be in some rather impressive company. Other than this book, toc-toc-toc produce magazines bi-annually and have gathered quite a reputation since 2010. We’re proud to be part of GROW London this weekend (stand GL33) – open to the public Friday to Sunday on the majestic Hampstead Heath (Lower Fairground Site on East Heath Road), we will be exhibiting alongside other accessories brands, nurseries and makers of garden furniture. Also on show (and which I’m particularly excited about….) 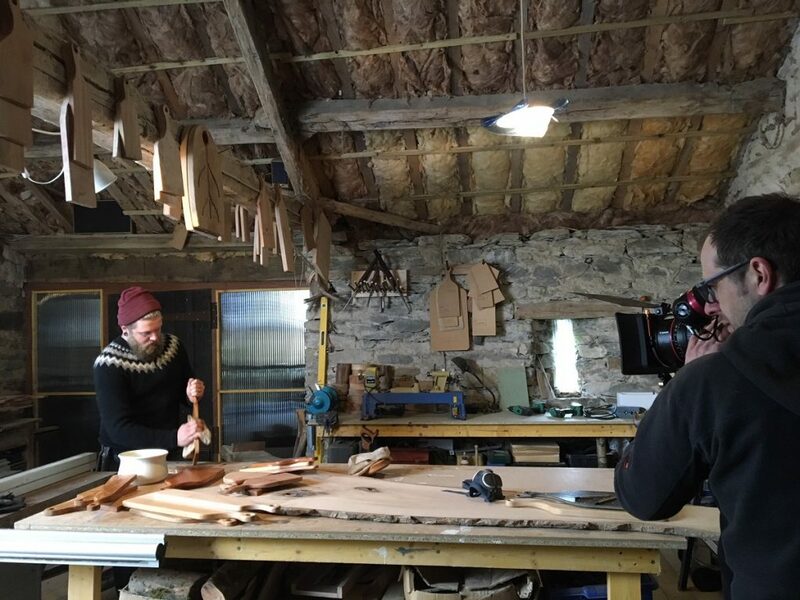 is the Green Woodoworkers Guild who’ll be carving, shaving and weaving various beautiful bits of wood – just the way it was done back in the olden days. Additionaly, Sophie Walker has designed and will be creating an Incidental garden over the course of the weekend – well worth a peek…. We have a limited number of free admission tickets and all you have to do is email info@hampsonwoods.com and be able to collect from our Hackney workshop between 9am and 5pm on Friday – or by visiting our regular Broadway Market stall between 10am and 5pm on Saturday. But please email first! More information can be found via the Grow London website. This Thursday 26th May, I’ve been asked to take part in a panel on “Identity and Authenticity in Design” chaired by the awesome Katie Treggiden (confessions of a design geek). Among other things, we’ll be looking at the growing trend for personalisation, and the close connection to makers and their products that consumers now desire. 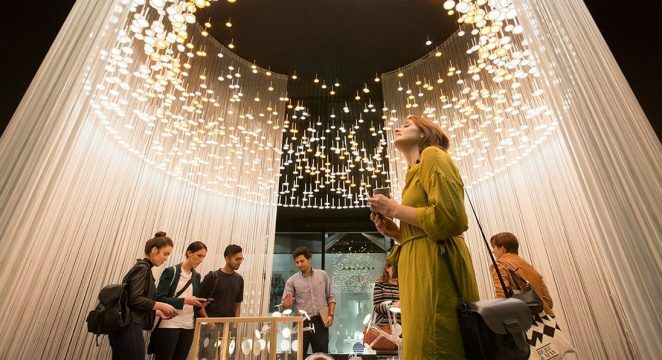 If you’re visiting Clerkenwell Design Week (which has been amazing year after year…. ), you can register to attend and hear our chats! Hosted by the flooring company Desso, the event takes place from 1230pm at 23-25 Great Sutton Street, EC1. Every year many of Brighton’s studios, workshops and galleries open their doors to allow everyone in for sneak-peeks and a chance to find out more about this fine city’s creative element. As part of this, we will have some of our one-off pieces for sale at Homage, a homewares shop based in the Seven Dials area of town. 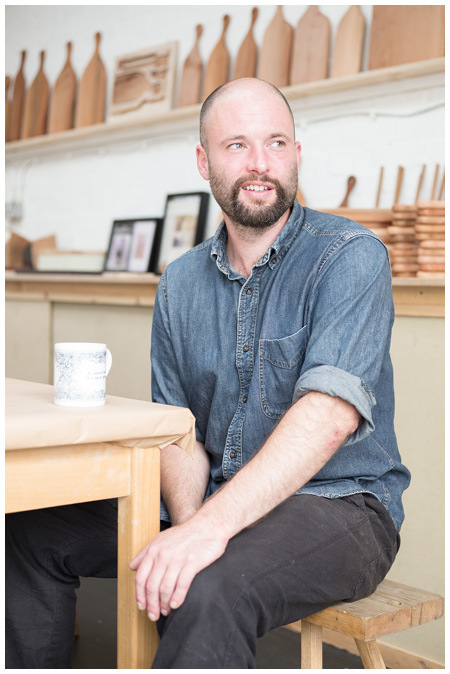 Mark and Liza originally had their store here in Hackney but have since made the move to clean air and pastures new on the south coast – in keeping, they are calling their opening during AOH, “London by the Sea” and featuring our work alongside Grain & Knot, Daisy Cooper Ceramics and Adam Ross Ceramics. We’re honoured to be in such company!